Is baking a craft? Yes, I do believe it is. In my fair hands however, that definition becomes less certain. Proper baking seems to require care, patience, love, and real skill. The version I do is more of the dumbed down kind, where I try and find the easiest looking recipe with the most orthodox ingredients. One thing guaranteed to put me off a recipe is if it contains an ingredient that I have never bought (and therefore don’t have in my cupboard). Another deterring factor is if it requires an ingredient that you have to go off the beaten track to find, say to some sort of specialist shop. All of this points to me being on the unadventurous (not to mention lazy) side, but hey, at least I am aware of my weak points and know where I need to improve! Still, I feel it is about time I tried a little harder perhaps. I guess I haven’t really done all that much baking in my lifetime. I’ve made biscuits, fairy cake/bun things, apple crumbles, and scones with varying degrees of success. Even muffins, although I don’t like them that much so I’m not too sure why I bothered to make them. All of those things are relatively easy to do, which is one reason why I chose to make them (another being because, muffins aside, they are YUMMY). On average, I’d say I get the whim to bake something every six months. I might do it more often if I didn’t have to wash up after myself! 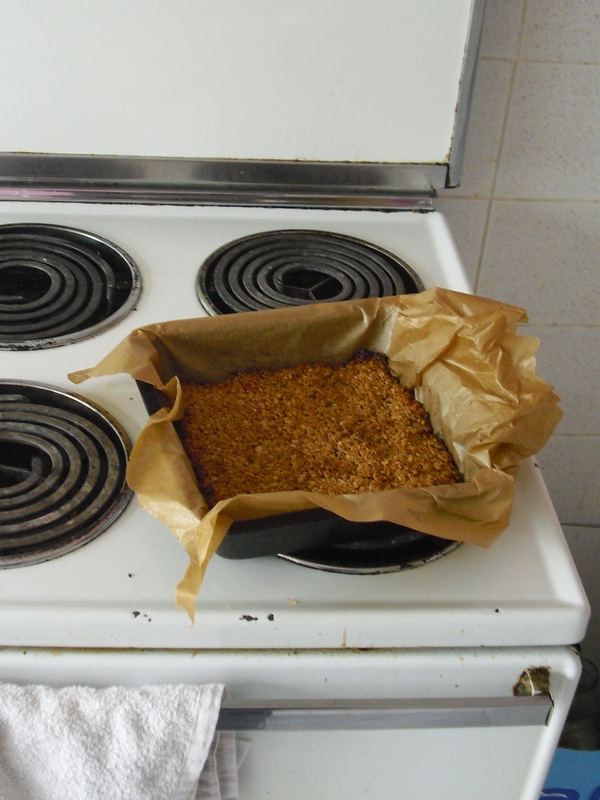 I chose to make a flapjack for my first ‘tried and tested’ attempt at baking because, you’ve guessed it, they looked kinda easy to make… I will put in the effort to make something more complicated one day, I promise. 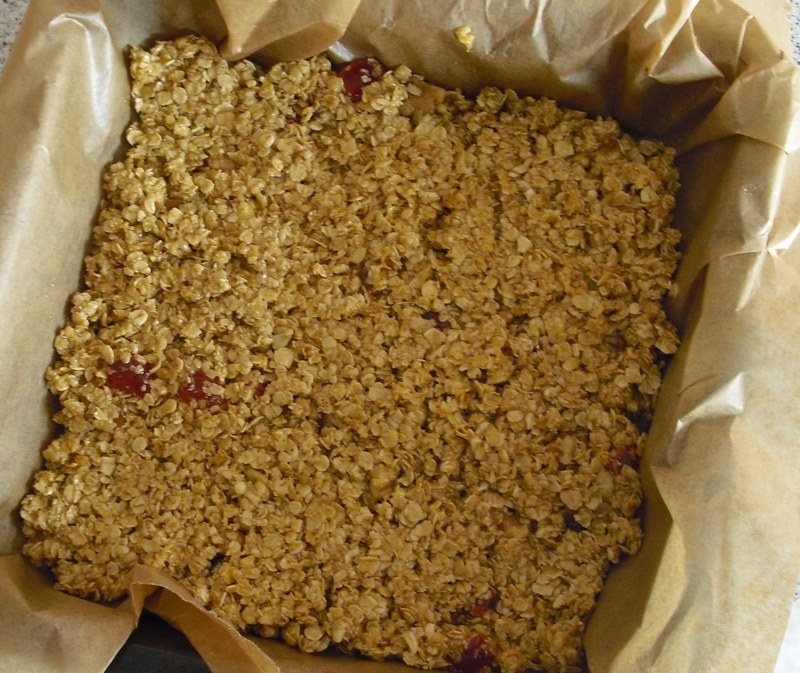 I spent a nice long time perusing the ‘net until I found this recipe (where I also got a bit side-tracked by the comments section, particularly by how unanimously people seemed to prefer chewy to crunchy flapjacks). Nice and simple. How could I possibly mess this up? 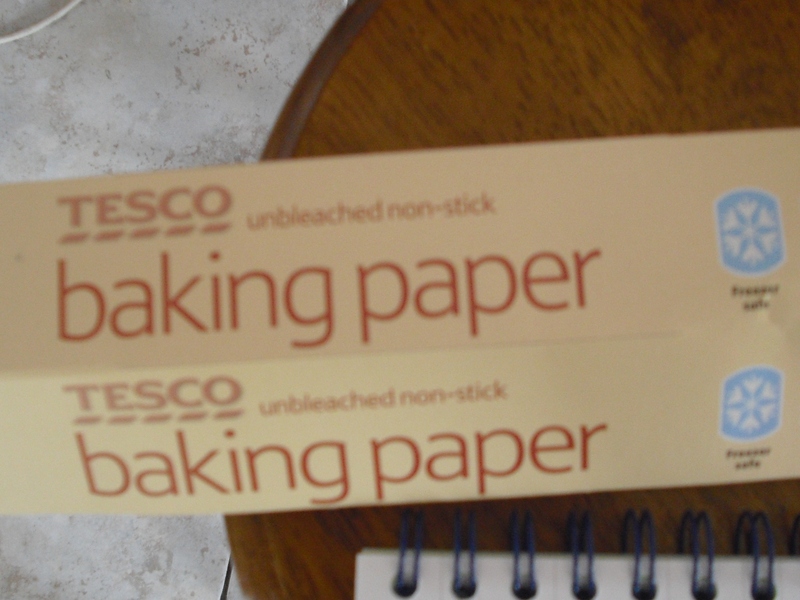 I had a suspicion things mightn’t have gotten off to the best start when I realised I had ‘baking paper’ in my cupboard rather than ‘baking parchment’. Is there any difference? Yes, probably something fundamental to successful flapjack making knowing my luck, I thought. Still, I read the baking paper boxes suggested uses and concluded it would be fine. The rest was almost so straightforward that I just naturally assumed I must have done something wrong, missed out a step or something. All that was required was to heat up the unhealthy stuff (butter, sugar, syrup) in a pan, and separately measure the healthy stuff (the oats). Now, maybe this is one reason why I sometimes have baking fails, but I do love to add extra things to recipes to make them more fun! 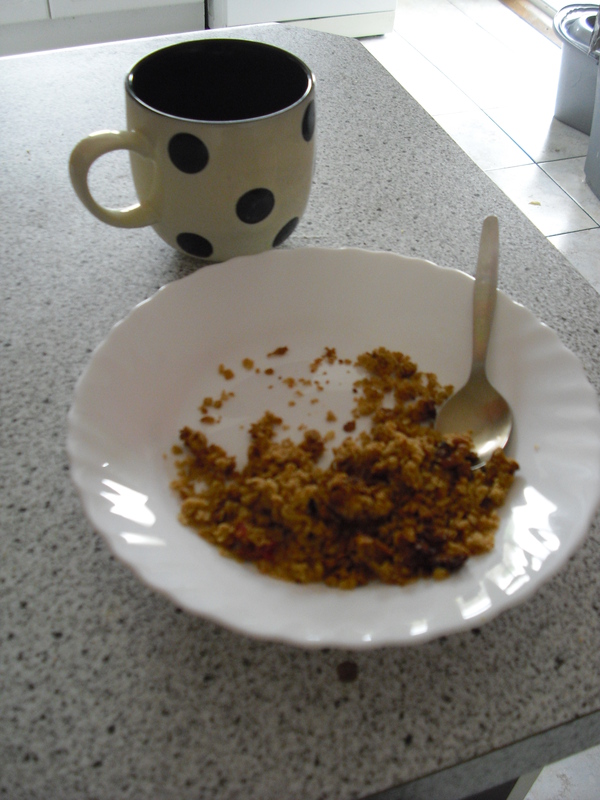 For the flapjacks, I added some walnuts bits (they taste lovely cooked/slightly burnt) and some glace cherries, just in case the golden syrup/sugar combo wasn’t quite sweet enough. 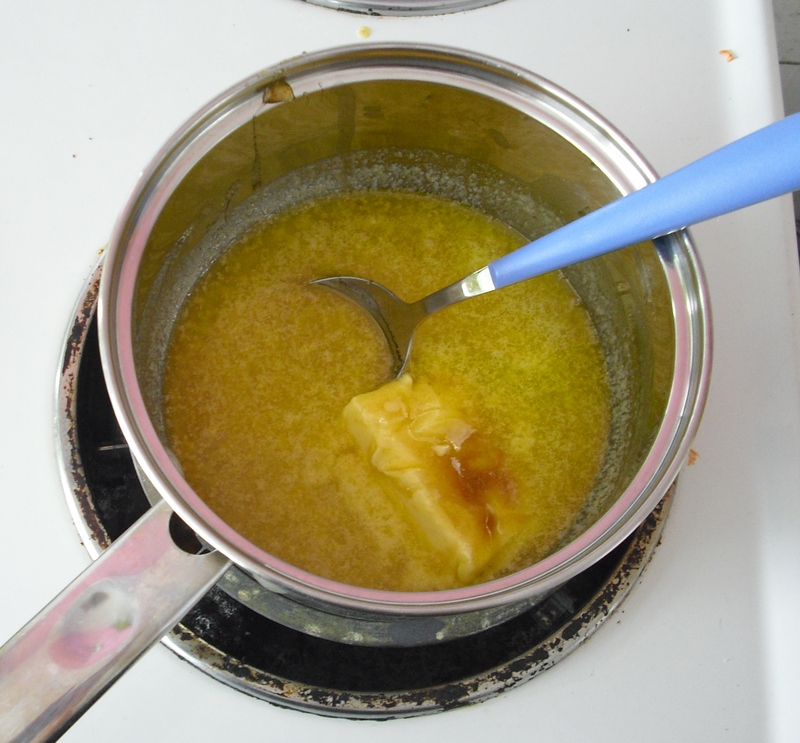 The next step was to pour the oats into the tasty liquid of buttery sugar and stir. 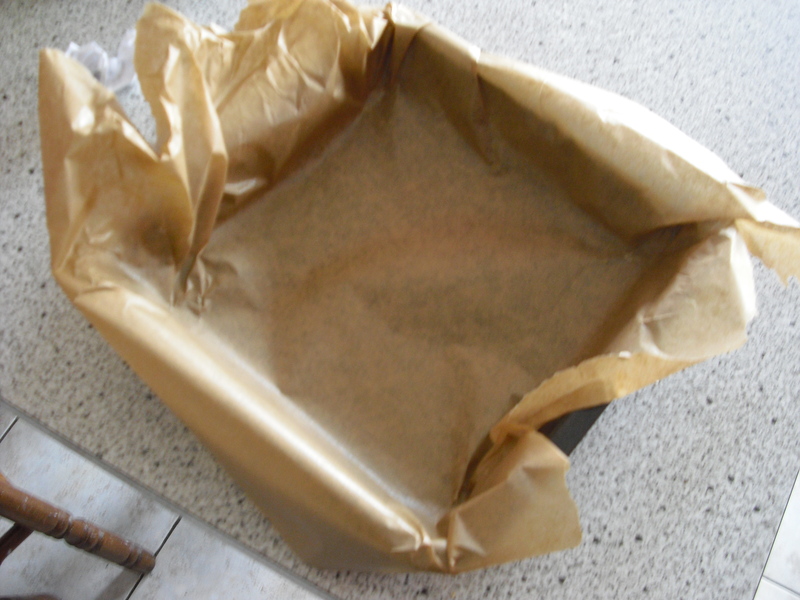 Then, into the baking paper lined tin, and then into the oven for about twenty minutes. What had gone wrong?? I had followed the instructions closer to a T than I usually did. Maybe baking parchment really was the key to getting your oats to stick together in a happy unity… or maybe I had scrimped a little on the butter… also I had totally guessed on how much syrup to add. I remained philosophical about it though, and decided at least I was left with a nice sort of oat pudding, the flavour of which was delicious. But then, something magical happened! 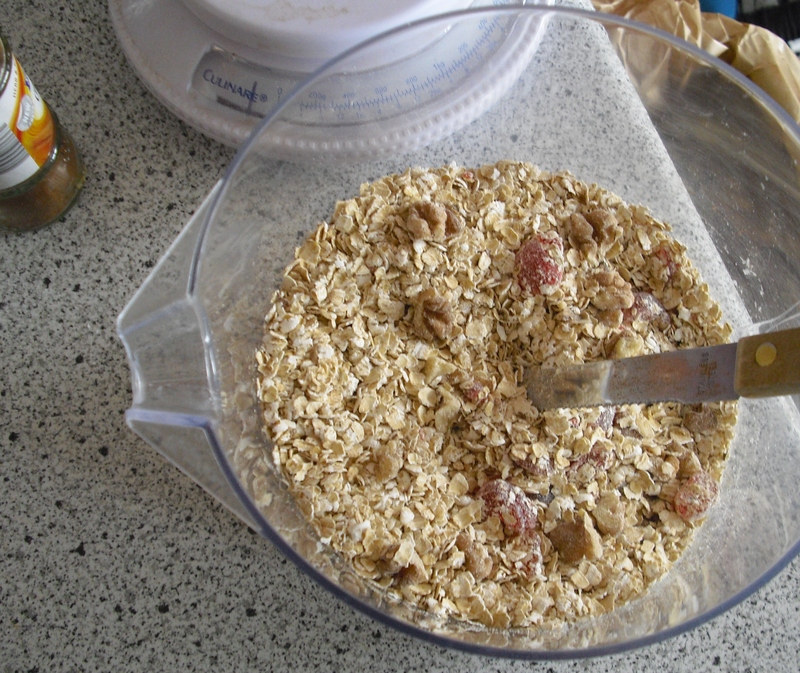 Whilst I was away pondering a potentially life changing decision completely unrelated to flapjacks, the oat pudding cooled down, and when I came back to put it in a container, I found it had come together to form a proper, solid, flapjack! It turned out the key ingredient was patience! I had skimmed over the part in the instructions where it told you to allow them to cool down first. I think there is a valuable lesson in there for me to learn perhaps! 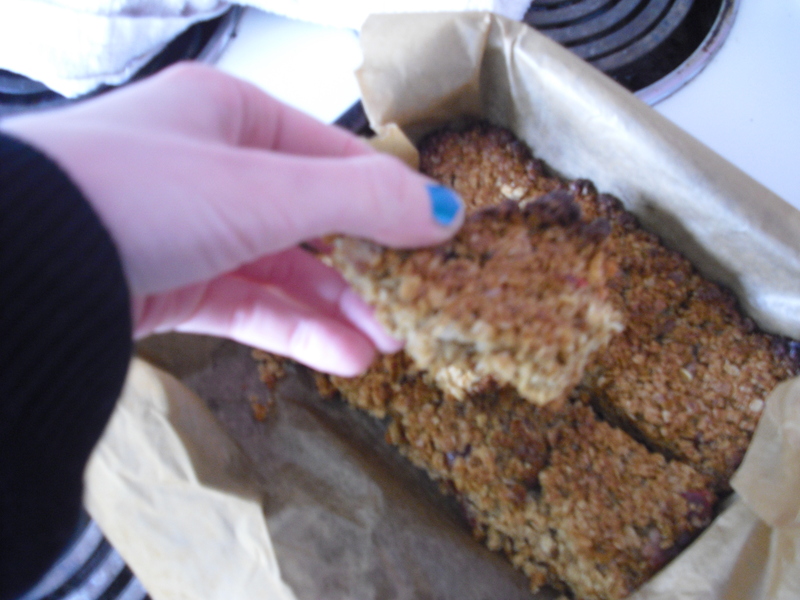 Totally unfocussed view of the successful flapjacks! The flapjacks themselves tasted really good. The recipe is a bit of a stodge festival, but I will definitely have to make them again in the small window of time before I turn thirty and my metabolism grinds to a halt (so I’ve been told anyway)! Tags: Baking, Crafts, flapjacks, food, tried and tested. Bookmark the permalink. Previous post ← Crafters Essentials – a nice cup of tea! Patience- key ingredient! 🙂 Just went through the same charade as you…. hehe… but omg Yummy buttery goodness!!! I think I would have still eaten them even if they hadn’t set!